If you’ve ever wanted to place your prized kicks on the market or simply wondered how much a pair is worth to buy or trade, look no further. Sneaker magazine and marketplace mainstay Sole Collector has joined with Campless to release The Sole Collector Price Guide. 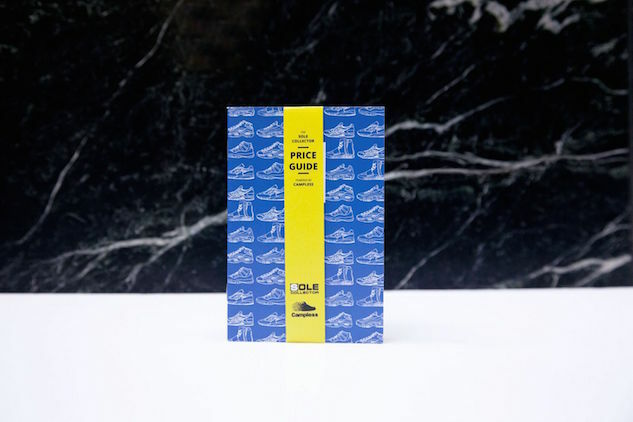 The printed booklet lists over 1,000 sneakers by brand, style and year, and pairs each listing’s retail value with the average used price, using numbers from Campless’ thorough data. And here’s the best part: the guide is conveniently pocket-sized, perfect for quick reference or on-the-go reselling. The handbook retails for $10 and will be available this Saturday at New York City’s SoleXChange. For more information, visit solecollector.com.